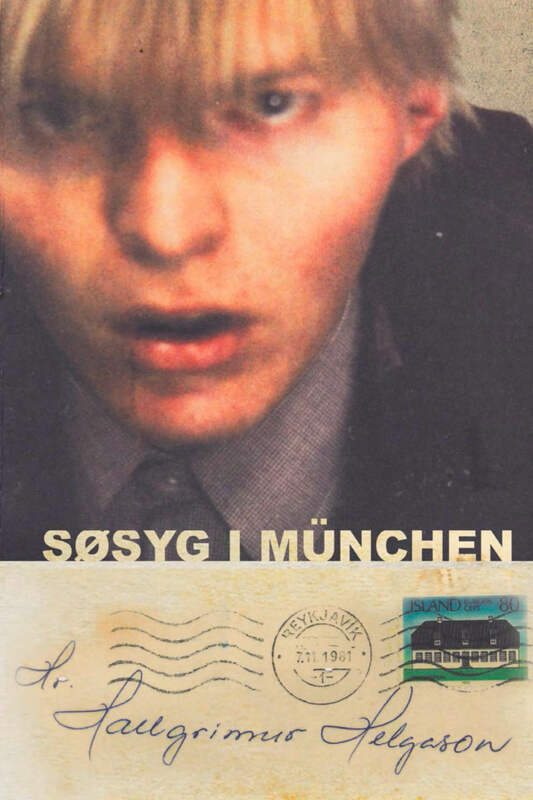 Helgason’s autobiographical novel of 2015, Seasick in Munich, is out in Danish this week. Translated by Kim Lembek and published by Lindhardt&Ringhof. He sat by the window and watched West Germany rush by. Roads, trees and houses sprinted by. But the cows stood stoically, letting the flying fields hurl them into the eyes of others. The sky moved more slowly overhead, a sinking September sun above hurtling treetops. The passengers awaited the city’s approach. ​Next to him in the compartment dozed a plump woman with short hair and bare upper arms that were stuffed with the indignities of life. Young Man cast a suspicious look at the red, blotchy flesh, and made sure that it did not touch him, there were few things he feared more than other people’s problems. In the opposite seat nearest the door and the swaying curtain sat a slim-fingered gentleman with gold-rimmed spectacles, a moustache and a festival of hair at the back of his neck, reading a newspaper the size of an Ordinance Survey map, and at his side, in the middle seat, flickered an elderly woman with thin lips and a delicate moustache, doing the crossword in a magazine with a faint pencil. Young Man could stand neither. Why kill such a precious thing as time? Faint lead, faint mind!